Coolest Homemade Macho Man Costume – You Dig It! I love making my son’s costumes. 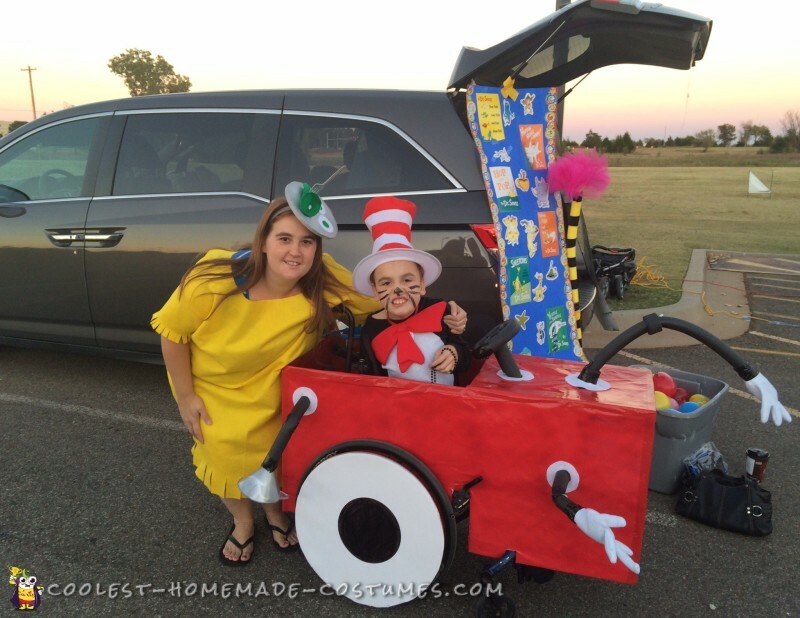 This homemade wheelchair costume from Dr. Seuss was fun. Also, all five of my kids join in and do a new theme every year. We always enjoy it. In addition, we do trunk or treat at church. In order to make the Cat in the Hat’s cleaning up machine costume, I used white foam board covered in red wrapping paper. The arms are pool noodles and the hands are white felt pieces I sewed to look like gloves. The white covering the tires is poster board. 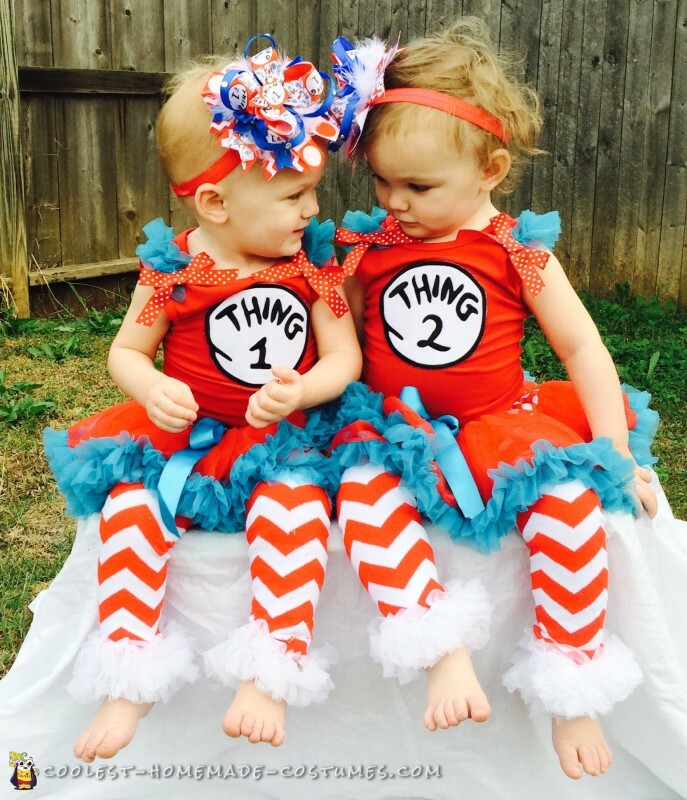 So, we had me as Sam I am, my daughter was the Lorax and my twin were thing one and thing two. They were a hit at church.